Farming has always been driven by data: weather, rainfall, soil conditions, seed genetics. 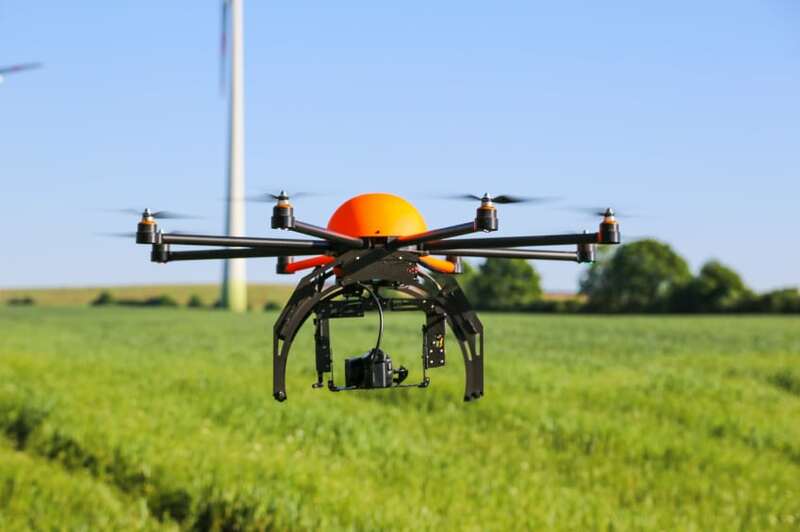 Now, with precision agriculture, there are loads of digital data that can help make your farm operation more efficient and effective. Portable devices like smartphones and tablets mean you can access the world’s information and communicate with everyone via the Internet at any time. 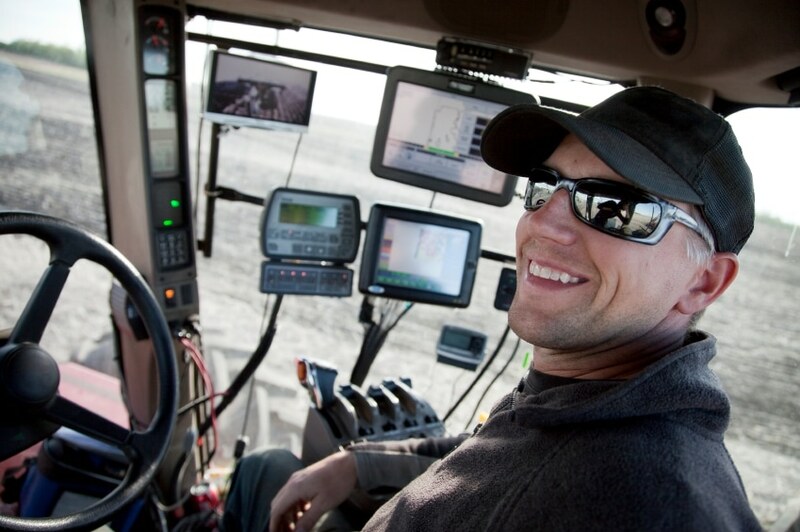 Now, in-cab computers allow you to precisely measure exactly what is put into your fields and where it is placed. These let you judge the results of those inputs and create “prescriptions” to optimize your fields for maximum profitability. 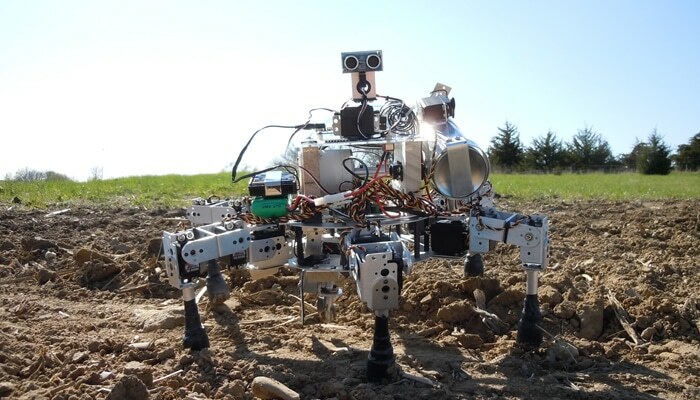 This, of course, requires that you collect the data (as-planted, as-applied, as-harvested) from your tractors, spreaders, sprayers, and combines. You then must move that data somewhere for analysis, use the analysis to create the “prescription” for the coming season, then move that prescriptive data back into the tractor, sprayer, etc. However, your needs for data may be simpler: you may just need to connect your home and farm office together so you can have Internet access in both places. You may just want to be able to print to the printer in your office when you’re at home. 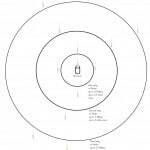 Or you may want to extend your network to your stock barns so you can use cameras to keep an eye on your livestock or control the HVAC systems at a distance. …but how to move it? There’s a simple truth to data: it’s potentially useful, but only if you can move it around. 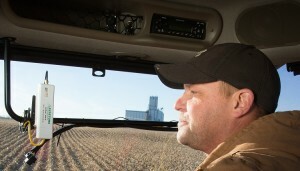 If the harvest data remains in the cab of your combine, it’s not going to be useful in planning for the coming season. And how do you move data between your house and your office so you can share your Internet connection between them? The answer is a network. You have a router now that provides Internet access in your home or office, both wired (Ethernet) and wireless (WiFi). 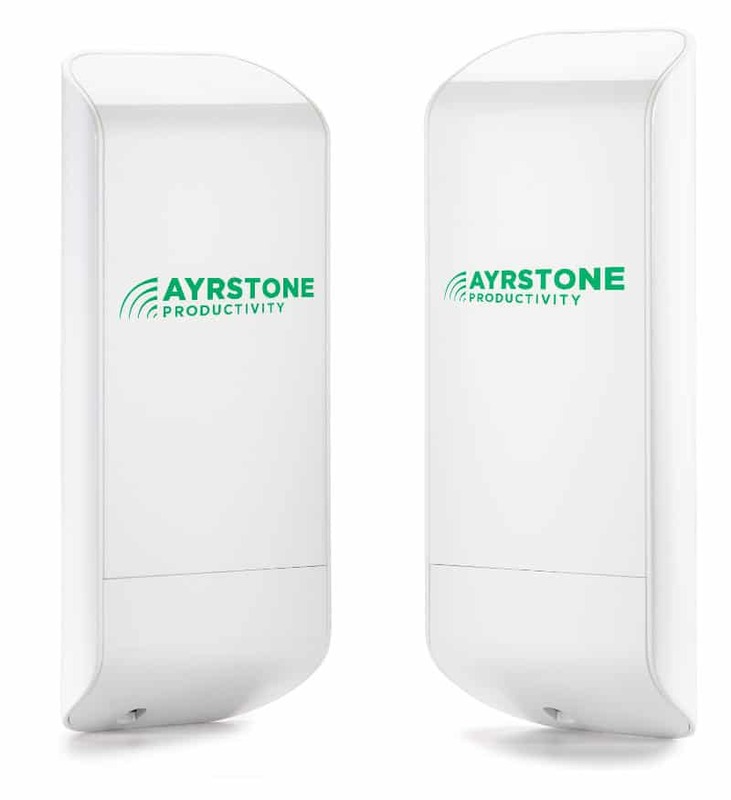 Ayrstone’s AyrMesh products allow you to extend that network from your router to your outbuildings and out across your property for thousands of acres. Each device requires a data subscription with the local cellular provider – $20-60 per month, each. It’s OK if you have two or three devices you want connected to the Internet, but there are going to be more and more devices you’re going to want to either collect data from or control remotely. Cellular connections are fine for uploading data to the Internet, but what about controlling devices like grain dryers or irrigation controllers? Some cellular connections include a “public IP address” so you can access devices connected to them, some don’t, or charge extra for them. Very simply, cellular data connections are spotty in rural America. Even if you have good voice coverage, you may or may not have a good data connection in the location you want it. Most farms I have been on have at least one “dead” spot for cellular. You don’t control the cellular connection, your cellular provider does. The connection may only be usable by the device to which the “modem” is connected; even if the connection is usable for Internet connectivity, you won’t be able to access your local network with it, and you won’t be able to collect data locally from it. The AyrMesh system uses high-power outdoor WiFi Access Points called AyrMesh Hubs, which mesh together using a special WiFi mode called 802.11s. AyrMesh Receivers enable non-WiFi (Ethernet) devices to join the network, and the AyrMesh Cab Hub brings the network to your vehicles. The big difference is this: these are all high-tech devices that are designed specifically for use by people with no networking expertise. Easy to set up and use, the AyrMesh products are all designed to be installed by a farmer or homeowner, not a network technician. 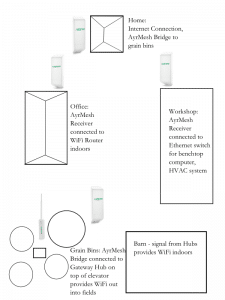 The first step in building your AyrMesh network is to put up Hubs where you want to have WiFi. The system is completely modular – you can just start with one Hub to see how it works, then add more Hubs to build out your network later. Perhaps the most valuable data on the farm is contained in the cab of your tractor, sprayer, and combine. The AyrMesh Cab Hub can be used to extend your network to your vehicles: tractors, sprayers, and combines, of course, but also cars, trucks and ATVs. The AyrMesh Cab Hub gives you an access point wherever your vehicle goes, as long as you are within about 2.5 miles of the nearest Hub on your network. 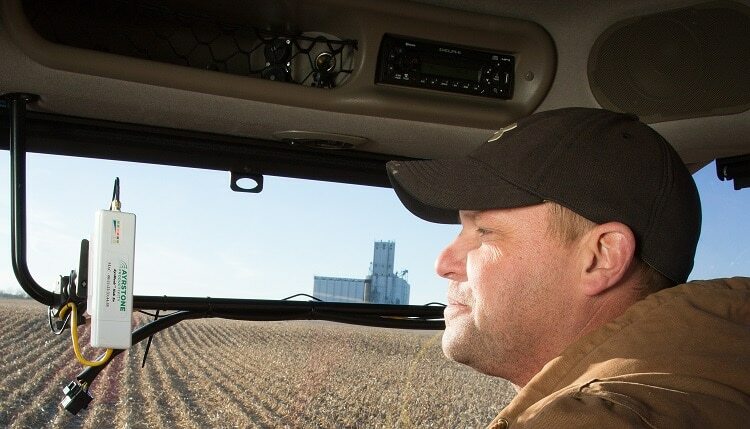 The Cab Hub allows you to use your laptop, tablet, or smartphone on your AyrMesh WiFi network when you are far from your home, and it can also be used to automatically collect data from the precision ag hardware in your tractor, sprayer, and combine. It can even be used to feed RTK corrections from the web to your GPS steering system. The AyrMesh Cab Hub allows a single AyrMesh Hub to cover up to 12,500 contiguous acres. by extending your network with additional Hubs, you can cover over 100,000. 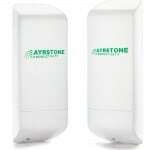 Read more on the Ayrstone Blog. 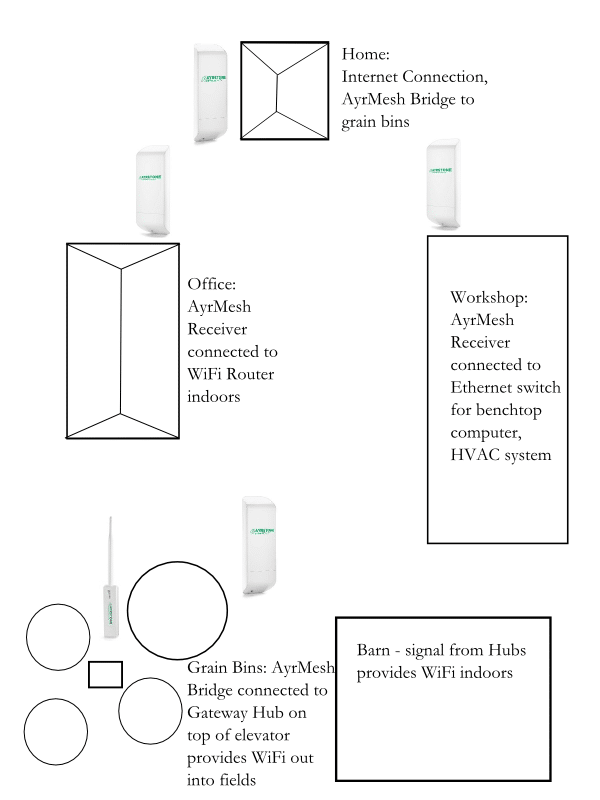 Once you have an Ethernet port indoors, you can use the AyrMesh IndoorHub to provide indoor WiFi. Tiny and effective, the IndoorHub automatically uses an SSID and channel to avoid interference with your outdoor Hubs, but has its own meshing so multiple IndoorHubs can be used to fill a large building with WiFi without running Ethernet cables. We have articles about how to plan your AyrMesh network (including when to use Hubs vs. Receivers) and how to bring the network indoors using a Receiver or Remote Hub. You might want to have weather stations in remote fields to let you know about local rainfall or wind conditions so you can make better decisions about whether or not to work in those fields before you get there. You might want soil sensors to tell you the temperature, moisture content, and other characteristics of the soil in your fields. If you have employees, you might have or want telematics from all your equipment telling you where they are and how they are being used, as well as task management and communications for your employees so you can keep track of what they are doing at all times. By having a data network out in your fields, you can easily implement all these. Without a network, however, each of these will require thought and planning to move the data from where it is being generated to where it can be used. 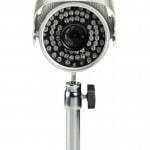 You can also make use of the most common type of “networked sensor:” the IP camera. Cameras on the farm can aid productivity enormously by allowing you to see what’s happening in one part of the farm while you’re in a completely different area, or even from town or far away. 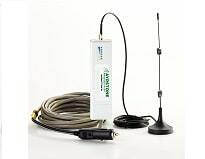 See the Ayrstone Blog for more about using the AyrMesh network, especially the articles about using IP cameras on the farm. The AyrMesh network is useful for collecting all kinds of data on the network, but the other thing it is useful for is controlling devices over the Internet. Today, there are irrigation systems, HVAC systems, and grain dryer controllers that can be controlled over the network. There will be even more devices in the future that will be able to communicate on a standard network like AyrMesh; having the network in place enables you to adopt these innovations quickly and easily. 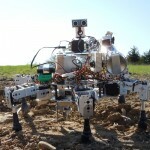 Farm Robot, courtesy of Dorhout R&D LLC. The AyrMesh network gives you the data-moving power to use new technologies at they become available. Because it uses standard Internet Protocol, it can provide network connectivity to a huge variety of different devices. 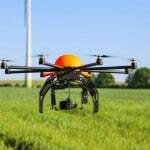 Soon you may have all kinds of sensors you can use to keep track of things on the farm, different control mechanisms to turn things on and off or automate operations on the farm, and even autonomous vehicles and drones that go out and do field work automatically without intervention, uploading instructions via the network and downloading their data for analysis. Learn more in the “How it works” and “Questions” sections of our website. If you have specific questions, please contact us.